This watch, which likely costs more than your house, has been in the making for four years. 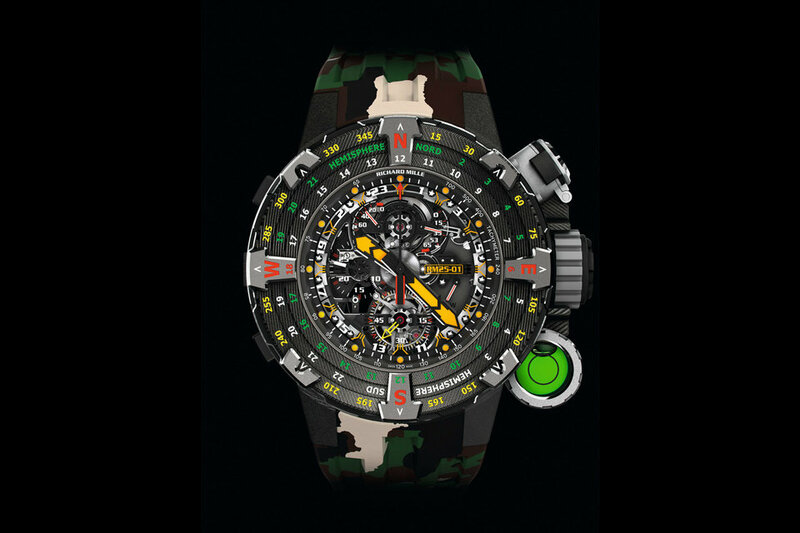 It is a collaboration between Richard Mille and Sylvester Stallone. The RM25-01 would certainly make Rambo proud, assuming he has $983,000. The Richard Mille 25-01 Tourbillon Adventure Watch has a 50.85 bezel, wild tourbillon movement, 24-hour time display, a chronograph, and is made of titanium and Carbon TPT. You can dive down to 100 meters but I don’t think I would risk it with a million dollar watch. There is also a green spirit level for use with the compass bezel and a hermetic compartment for holding five water purification capsules.